I'm becoming a fan of salvias for their performance in the landscape. This group of plants has such a wide variety of selections available from annuals to perennials that I'm sure you can find the perfect plant for your garden. Today, I want to tell you about the salvias I'm growing in my own home landscape. Rockin' Playin' the Blues salvia is a selection I grew as a trial last year, and it didn't disappoint. The plant produced beautiful blue flowers all summer long. A nice feature is that the plant is sterile, which means none of its gorgeous flowers produce seed that could become a weedy problem. I also like the fact that the blue calyx -- or cup-like outermost floral parts -- remain after the actual flower falls off, giving the color an even longer-lasting landscape effect. I also enjoyed watching the bumblebees and other pollinators feast on the nectar-filled flowers. 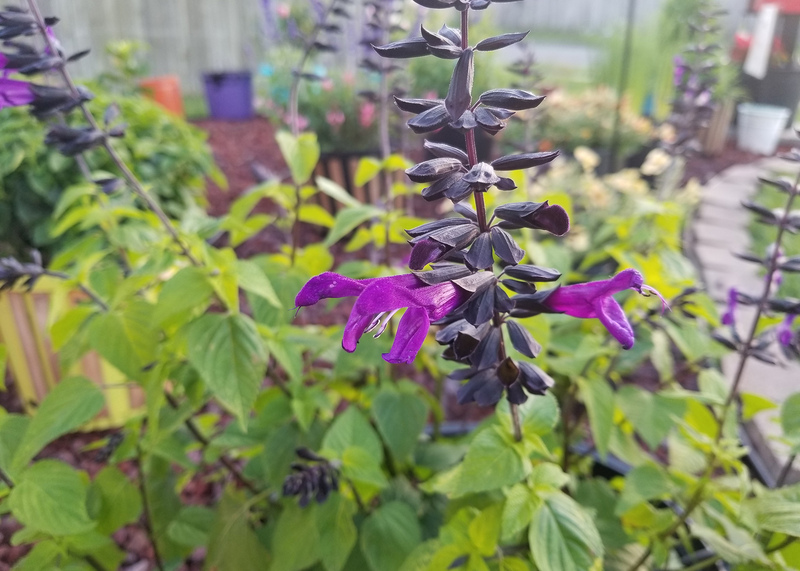 Another favorite is Black and Bloom, a perennial in my Ocean Springs landscape that I have growing in a 15-gallon container. Its large flowers were among the earliest to bloom this year. The plant has dark leaves and black stems and calyces, which seem to accentuate its deep-blue flowers. I really like the contrast between the black and blue. 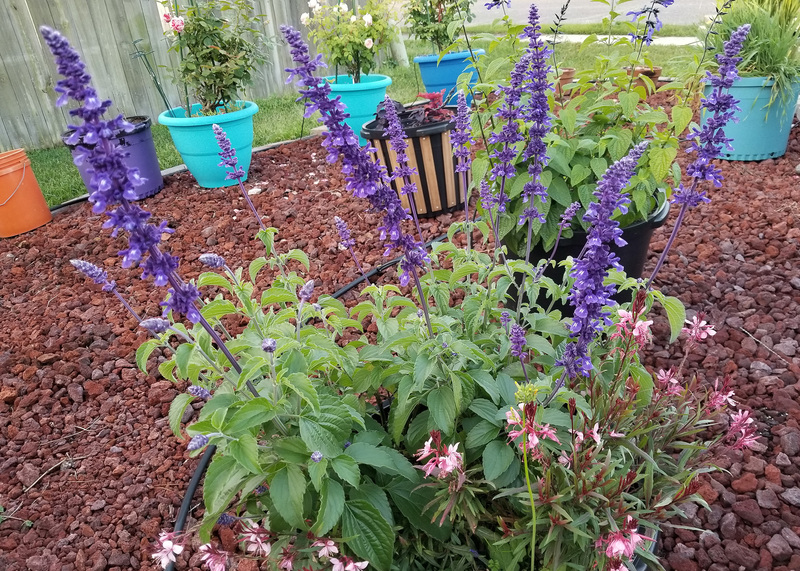 A similar selection that I'm growing this year, and hopefully in years to come, is Rockin' Deep Purple salvia. It’s reminiscent of Black and Blue, except the flowers are a nice deep, dark purple. This is another example of a great color contrast between the purple flowers and black calyxes and stems. Regular watering and fertilization will keep the root zone consistently moist and the plant growing and showing off strongly. 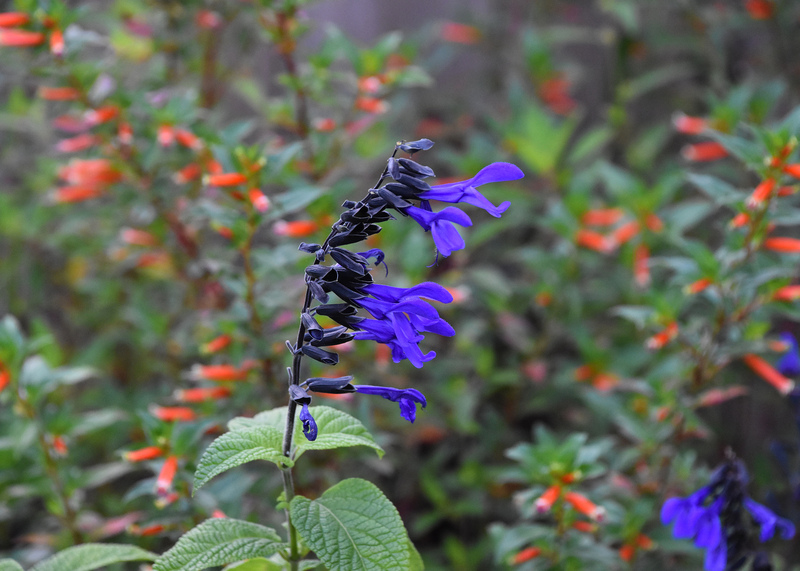 Rounding out my favorite summer salvia is Wendy's Wish. The vivid, magenta-pink color of the tubular flower coupled with the reddish-pink calyx is gorgeous. The flower stems are maroon and arranged in an open structure. The plants grow in clumps. This is a tough plant that thrives in our hot and humid summers. It is also a favorite plant of hummingbirds by day and hummingbird moths around sunrise and sunset. I take measures to be sure my salvias perform at their best. I've found that they perform fantastically in containers that give them increased drainage. I transplant mine into 15-gallon nursery containers. These pots are bigger than your normal container, but my plants respond accordingly. Large containers give the root systems plenty of room to spread out, and they make it easier to maintain a consistent root zone moisture for optimum growth during the summer. 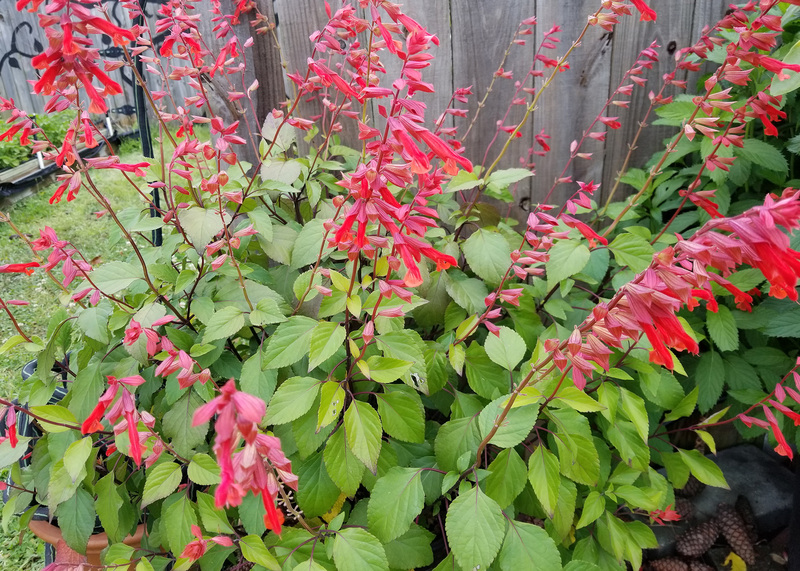 If you grow your salvia in full sun with consistent moisture and good drainage, I know you'll enjoy these plants in your garden as I do in mine.